For over 2000 years the Leni-Lenape Indians lived in the area that would later become New Jersey. They came to the coast to fish and gather quahog shells, from which they “wampum” , or currency. In 1692, Joseph Ludlam bought the land on which Strathmere, Sea Isle City and Townsends Inlet now reside and named the island after himself. Ludlam used the island to stock cattle and sheep, and mainlanders would visit to hunt, fish and engage in other recreational activities. No permanent settlements would be established on the island for nearly two centuries. It is believed that pirates would stop at the island while sailing up the Jersey coast during this time, as evidenced by the type of pistols found during those early years. In 1781, “The Fame” shipwrecked off the coast and Spanish coins have been retrieved from the shoreline after dredging activities have occurred in the area. Charles Kline Landis purchased Ludlam Island in 1880 with the intention of creating a beautiful seaside resort. He renamed the Island “Sea Isle City” and effectively marketed it as both a place to come for a visit and a place in which to live. The northern tip of the island was named “Corson’s Inlet” after John and Peter Corson sailed across the inlet between Ocean City and Strathmere. In 1883, the West Jersey and Seashore Railroad constructed a rail line that came into Corson’s Inlet from Ocean City. The railroad was later acquired by the Reading Railroad and ultimately fell into bankruptcy. The Sea Isle Trolley that reportedly ran from Strathmere to Townsends Inlet. Click photo to purchase. In 1881 the first hotel was constructed using materials that had to be brought in by boat. It was built next to the railway line and was called “Whelen’s Hotel” which later became the Deauville Inn. The building was used for a variety of purposes throughout the years, including a speakeasy during Prohibition and a rum-running station. In the 1930’s, well before gambling was legalized in Atlantic City, it was home to a casino. Several famous people have stayed at the Deauville Inn throughout the years, including President Theodore Roosevelt. The building suffered damage in both the Great Atlantic Hurricane of 1944 and the Nor’Easter of 1962 – over the next two decades it ceased operating as a hotel and fell into disrepair. In 1980 the Carpenter family bought the building and worked diligently to restore it. Today, the Deauville Inn is a popular restaurant where people flock in the summer to enjoy dinner and a sunset over the bay. Many families flocked to the beach in the summertime, especially on Sundays. The fare was $1 for a round-trip. They would often bring their lunches in shoe boxes, which gave rise to the term “Shoobies”. It originated as a derogatory term for two reasons: first, the shoe box-toting visitors brought their lunches so that they wouldn’t have to buy food, thereby depriving local establishment owners of revenue. Second, these inland visitors were not always accustomed to the environment, including the dangers of the ocean, beach etiquette and other local customs so they were looked down upon by residents. Today, the term “Shoobie” is still used to describe someone who visits (but doesn’t live in) the coastal towns of South Jersey. Strathmere was once home to one of two U.S. Lifesaving Stations that resided on Ludlam’s Island (the other was located in Townsends Inlet). In 1871 the U.S. Lifesaving Service was created and over 200 stations were built along the east and west coast and the Great Lakes to provide search and rescue. When the U.S. Coast Guard was created in 1915 , it began moving stations from the oceanfront to the bayside – not only to assist in serving those waterways, but to allow for the launching of bigger boats. In 1925 they moved a station that was originally at 58th Street in Ocean City station to Corson’s Inlet and it served the area until 1964. In 1895 a hotel by the name of the ‘West Jersey Cottage’ was also built next to the train station. The hotel first housed fishermen and some year-round residents, and then during World War I it was home to soldiers who patrolled the coast. It was badly damaged in the Great Atlantic Hurricane of 1944 but part of the hotel was salvaged and moved to the main intersection in town. Today it is a privately owned home. In 1905, Corson’s Inlet was annexed to Upper Township from Sea Isle City to help reduce the city’s debts. A contest was held 7 years later to rename Corson’s Inlet, which is how Strathmere – meaning “strand by the sea” – got its name. Further south along the strand, before the city of Sea Isle begins, is an area known as “Whale Beach”, named so for the many whales that have beached in this area. The first general store and a post office were constructed in 1909. While the general store no longer exists, the post office and some other commercial establishments that were created over the next few decades still operate today as they did back then. In 1920 a single-family home was constructed and later converted to the Strathmere Hotel. Now called the Strathmere Motel, it serves as the only overnight lodging establishment that remains in Strathmere today. Twisties Tavern on the Bay started out as a speakeasy during Prohibition but in the 1950s became a restaurant that continues to serve patronsa – although it had different names over the years, the inside remains largely unchanged according to its longtime customers. Also in the 1950s a restaurant by the name of Mildred’s was established, and today remains a very popular destination for discerning diners seeking a delectable dinner. Today, despite many development companies and building plan proposals throughout the 19th and 20th centuries, Strathmere remains less developed than many of its beach town neighbors. Being only two blocks wide and flanked by the ocean on the east, the bay on the west and the inlet on the north, it is vulnerable to storm damage. The 1944 hurricane, the 1962 nor’easter and other storms since then have changed the town’s landscape and development, destroying homes and businesses but never crushing its spirit. In fact, its sense of community – and fortunately a high, healthy dune line – has grown in the place where Mother Nature waged some of her most vicious coastal attacks. Another factor in reducing development was the creation of Corson’s Inlet State Park in 1969 to help protect and preserve this area, which is one of the last undeveloped tracts of land along the coast. The sand dune and marine estuary ecosystems here are home to hundreds of species of wildlife who have made permanent or migratory homes here. Today, many visitors pass through the dune trail to beachcomb and fish. Boaters dock at the beach along the inlet to enjoy picnics and, at low tide, sandbars are formed where people can walk out and wade in the receding water. 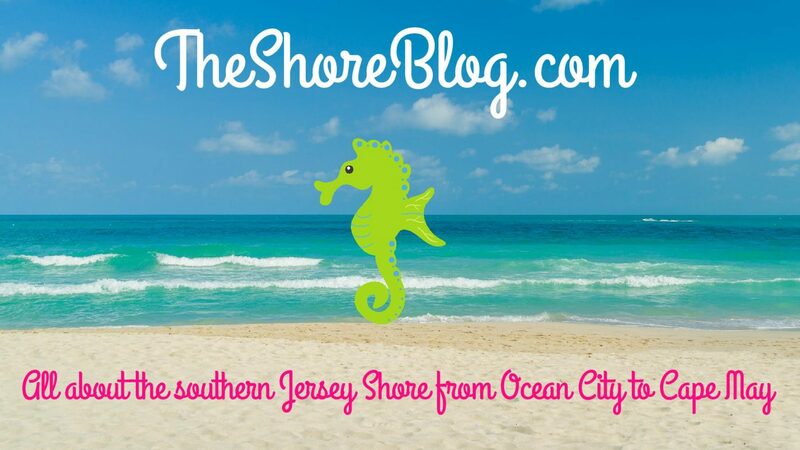 In 2007, a group called the Citizens for Strathmere and Whale Beach petitioned for de-annexation from Upper Township to allow Strathmere to become part of Sea Isle city, claiming a lack of adequate services from Upper Township and a possible reduction in property taxes by 40-50 percent if it annexed to Sea Isle City. After a seven year legal battle, the New Jersey Supreme Court denied the appeal, deciding that de-annexation would cause significant injury to the well-being of Upper Township as a result of the loss of revenues to the school district and would cause a tax increase for the citizens of Upper Township if it were to lose revenue from its upscale residential beachfront community. So, while Strathmere looks as if it’s a part of Sea Isle, it legally isn’t. Being in Strathmere today is like stepping back in time. Described as being “quirky…and low key”, you may still think you’re back in 1950’s small town America, that is if you can look past some of the newer more modern homes and “McMansions” that have gone up over the years. There is a fire house, a library and a post office but no mail delivery service. Residents have to go pick up their mail, but that gives them the chance to see and stay in touch with one another. There is an active Improvement Association that shares news, hosts events and keeps the feeling of community alive. If you want to learn more about Strathmere, I ask that you visit the blog and website, Strathmere.net. Much of the information here was gleaned from this amazing resource about Strathmere’s history. The site’s creator, Carol Baker, has done an incredible job of not only capturing every nuance and detail of her town’s history, but has gathered and displayed an astounding array of photos and postcards that, standing alone, could tell Strathmere’s story in visual detail. It truly is a great resource for someone who wants to learn more about Strathmere. Do you, or does your family or business, have a history in Strathmere? We’re interested in hearing from people whose families were original or early settlers, or who own or owned a business, or who have other historical information to share such as living or working here in past summers, meeting your significant others, getting engaged or married here or any other human interest story. If so, and if you would like to share your story, please contact us by clicking here. The information you provide us is through this link is confidential and we will contact you to gain more information, as well as your full permission, before we disclose any information you provide. Thank you, and please don’t hesitate to contact us! (Note: for your privacy, do not include your information in the Leave A Reply box below unless you wish others to see your information). Thank you so much for this clarification. It was a little challenging finding the consistency in some of the historical accounts so I really appreciate your information. It is fascinating to imagine visitors coming to the shore by train. My grandmother’s family took the train from inland South Jersey to the shore every Sunday. I always loved hearing her stories!